What is the first step I need to take in planning my dream home? Can you recommend someone to design our home, and do you have an in-house design service? What should I do first; buy a lot, or design my home? In what geographical areas does Troike Building Corporation build? 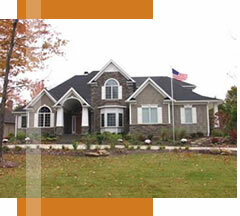 What type of construction services does Troike Building Corporation offer? A: A good place to begin is to browse through home plan books or magazines. You can often find the style of home you like. It is also helpful to make a list of features and/or design styles you have seen in other homes that you would like to incorporate into yours. Because many people have a difficult time visualizing square footage, we are able to help them translate the concept of a room size on a one-dimensional sheet of paper into three-dimensional living space. A: We can do either. We can recommend a designer or architect, and we can also work with you in-house to help you design your home. A: Buying the lot first is preferable. It's more difficult to find a lot to fit the home you want to build, than to design a home to fit the lot. If a client is considering a lot to purchase, we like to walk it with them so they are aware of any challenges that may exist with the property and the type of home they are considering building there. 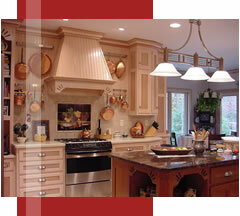 A: On average, it is a 6 to 8 month process for a 3,600 to 4,200 square foot home. However, this time frame may be longer depending on the complexity of the home and what time of year the project is started. We feel it is the details of a home that add value and make it uniquely your own. A: Our areas of operation include Summit, Medina, Stark, Portage, and southern Cuyahoga Counties. A: We are a full service building company offering design and building for custom homes, residential renovations, remodeling, and light commercial construction.